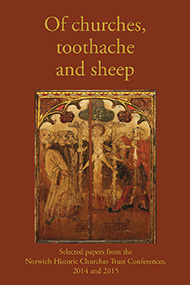 Today is the publication date of Of Churches, Toothache and Sheep, edited by Nicholas Groves and published by Lasse Press, which is a collection of papers delivered at the 2014 and 2015 conferences of the Norwich Historic Churches Trust. I contributed the chapter ‘Roman Catholic chapels of Norwich’, which is based on the paper I delivered at the NHCT’s 2015 conference. The book is being launched today at Writers’ Centre Norwich, but unfortunately I am not able to attend. The chapter is the most comprehensive account to date of post-Reformation Norwich’s Catholic chapels. It is likely that a small domestic chapel may have operated within the Palace of the Dukes of Norfolk from 1563 (when the Palace was built); otherwise, the earliest chapel was run by the Jesuits (location unknown) and was operating as early as the 1640s. That was succeeded, in 1685, by a Jesuit chapel on the east side of the old cloister of the Dominican friars (present day University of the Arts), which was destroyed during the Revolution of 1688. The Jesuits remained in Norwich and eventually opened a chapel in Willow Lane (Chapel of the Holy Apostles) in 1827. The Palace Chapel moved into new premises in 1764 but was ejected in 1785 when the 11th Duke conformed to the Church of England. This led to the establishment of St John the Baptist’s Chapel, Maddermarket, in 1791. Remarkably, both the Maddermarket Chapel and the Willow Lane chapel survive – the former as the Maddermarket Theatre and the latter as Rogers and Norton solicitors. In 1882 the 15th Duke of Norfolk donated a vast sum of money for the construction of the new church of St John the Baptist, which would amalgamate the two missions; the Jesuits eventually agreed to this and left the Diocese of Northampton in charge. At the time of its construction, St John’s was the largest Catholic church in Britain, but it has since been overtaken by Westminster Cathedral. St John’s became a Cathedral in 1976. 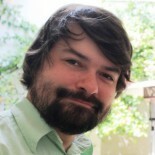 This entry was posted on June 15, 2016 by jacobite.